Haifa Mayor Yona Yahav launched a scathing attack on the Shomron community of Itamar, claimed its youth are behind 'price tag' vandalism. Haifa Mayor Yona Yahav launched an unprecedented and unproven attack on the Shomron community of Itamar on Sunday. Yahav, who participated in a panel dealing with the assassination of Prime Minister Yitzchak Rabin at the Eilat Israeli Journalists' Conference, claimed that the so-called “price tag” vandalism acts are being carried out by youth from Itamar. "Why does the right not conduct an in-depth investigation into how it produces 'wild thorns' such as Yigal Amir, such as the residents of Itamar?" said Yahav. "Wild thorns" is an expression used to describe radical young people whose behavior is outside the pale and in need of being weeded out. Yahav refused to apologize for his comments and reiterated his assertion against the residents of Itamar. Yossi Dagan, the strategic affairs director of the Shomron Regional Council, then said to Yahav, "Are you talking about the Fogel family? Shame on you, you are inciting and being libelous." Dagan was referring to the five members of the Fogel family, residents of Itamar, who were brutally massacred by terrorists from the nearby Arab village of Awarta in March of 2011. Dagan then told Yahav that he planned to sue him for slander on behalf of the residents of Itamar. Itamar’s youth coordinator, Pinchas Michaeli, responded to Yahav’s comments on Sunday night, saying, “We are proud of our way, we do not accept castigation from a person in whose city the heads of IDF soldiers are carved." Michaeli was referring to an attack by six Arabs on IDF soldiers which took place in Haifa last March. 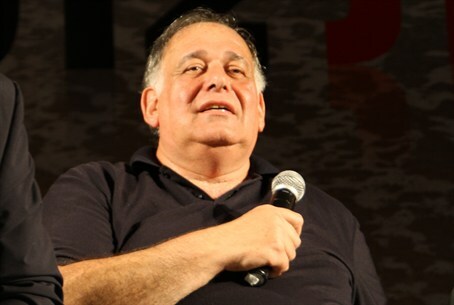 “Yona Yahav’s words are not worthy of a response unless his words had hurt our youth who are busy every day in carrying out positive deeds and connecting with IDF soldiers and the people of Israel,” said Michaeli. Last month, a senior official in the Israeli police admitted that most of the ‘price tag’ attacks are not being carried out by Jewish youth from Judea and Samaria, despite them usually being blamed for such attacks.